Hello aspiring Rulebenders and welcome to BendTheRulez.com. I’m Antonis and I wanna welcome you to my website. Ready to learn how to live a laptop lifestyle? I know you are here because you have a nagging feeling in the back of your mind that something more exists out there. That life isn’t just what they tell you it is. That it must be more than 9-5 slavery and following the life plan that everyone believes is safe. So gone with the idea that you must follow all the rules of society, get a steady job (if you can do that anymore in this financial crisis) and follow the life that someone else chooses for you. Following the rules that someone else decides we should live by. So you ended up on BendTheRulez… There are so many websites nowadays talking about concepts like personal development, lifestyle design, internet marketing, nonconformity, lifestyle entrepreneurship and the list of terms can go on forever. Why should you pay attention to one more blog like that? Well, you don’t necessarily have to and it’s up to your personal choice. But keep that in mind: We are bending the rules here so you might be interested in that (or how to do that). But, for a start, let me share my story. My name is Antonios Marios Christonasis and I’m an electrical and computer engineer from Patras, Greece. At the time I am pursuing a doctorate in the field of Data Science. My main interests lie on Internet/Digital/Affiliate Marketing, Data Science, Machine Learning, and Entrepreneurship. Apart from these, from a really young age, I became fascinated by the world of personal development. One day my cousin George (back in the good economic times) came back from an MLM company that he had decided to become a member of. I don’t especially endorse MLM, however, it all started there. They had given him many kinds of material related to sales and personal development. For some reason, when I opened those books I was immediately hooked. Some years later I was in a boring computer class in school. While I was browsing my e-mails (most of them where newsletters :P), an e-mail from a big Greek bookstore stood out. They always pitched personal development books, so the junkie inside me was yearning for those emails. 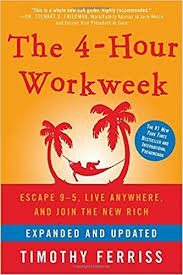 The book that I saw and immediately ordered that day was the Four Hour Work Week by Tim Ferriss. I’m a huge fan of Tim and the book changed my perspective on life forever. Concepts like lifestyle design and internet entrepreneurship fascinated me from the moment I held the book in my hands. However, it wasn’t all roses and lilies from there on out. My road in life has been pretty winded and life can be unexpected at times (that’s after all its wild beauty). I got into a good University in my hometown Patras and that was an offer I simply couldn’t refuse. The two sides of me were always in an internal conflict and that wore me down both emotionally and in terms of making progress. I basically was stagnant in both my conventional college studies and my Tim Ferriss-like lifestyle design adventures. So how do I pursue my lifestyle design and income autopilot aspirations? The way I have found to be attainable and realistic to pursue my goals is a website called Wealthy Affiliate, but we’ll talk more about that and my decisions on other posts so that we stay on subject here. I have struggled a lot in my path to find a balance between the conventional and the alternative. I know that many people face and others will face in the future similar problems and roadblocks on the way of life. My basic aim is to share what I have learned along the way and save some people from the possible heartbreaks they may face. I also want to learn from you and through writing and discussing to clarify my own ideas. Moreover, this website will be an experiment on setting up a platform from scratch and making it a profitable automated lifestyle business that helps me live and sustain the lifestyle I want. I also blog(be sure to check out our guide on how to discover new blogs) about anime over at onepiecetheories.com, but this is a topic of another discussion. I may also share stats and money reviews to show you how my online endeavors are coming along further down the line. Furthermore, this page and this website will evolve as the days go by. With this website, I didn’t want to create something static. The evolutionary process of BendTheRulez is one I’m really excited to see. I also want to see myself evolve through the years and what better place than here to do that. For those unfamiliar, I will share the basic method that anyone can make money online and ultimately live a laptop lifestyle. Choose a direction: Many people call that finding your niche. At the very basic it is the process of choosing the topic of your website and the audience that you want to target. Get Traffic: The second step in making money online is getting traffic to your website or landing page. A website or an offer without people seeing it is basically nothing. Make Money: When you do have the traffic you can find ways to monetize it. This can be done in many different ways, such as affiliate marketing, ads, CPA, having your own product, having a paid membership to your service and many other ways. The mistake many people make is rushing to the make money step. This is wrong because you focus on the wrong part. You will never make money consistently if you don’t provide value to the people who you engage with. If they get value from you and trust you, only then would they CONSIDER buying from you. Besides, if you don’t have any traffic to begin with, who is gonna buy whatever it is you’re offering? The are many substeps involved in the process of making money online, but that is the essence of it. No need to overcomplicate things, simplicity always wins. Remember that this is just a bird’s eye view of the process. Later on, we’ll certainly delve deeper into exact methods you may utilize. There are many methods you can follow to achieve success online. In fact, you can actually get overwhelmed by the sheer volume of possibilities out there (check our post on the shiny object syndrome for more on this). In order to stay focused and battle test the methods I have learned I will try to follow some tenets to the best of my ability while building BendTheRulez. Simplicity: I don’t want to overcomplicate the process for two reasons. First of all, I would be setting my own self up for failure. Secondly, I don’t really want to contribute to the noise that already exists in the online world. I prefer my posts to try to bring some sanity to the frenzy of the internet marketing space. Truth: The online world is abundant with idealistic and fake claims. I’m not here to contribute to that either. I’ll just share what I have seen work with my own eyes and suggest only services and tools I do believe are helpful and of high quality. Whenever I haven’t myself tested something I will become your personal researcher and just try to bring together the resources and information for you to decide what’s best for you. No false claims here, EVER. I will never promote anything that I don’t believe in or suggest something just for the high payout. Quality: The focus of BendTheRulez is going to be the only person that matters, and that is the reader. If I can’t provide quality content for you and provide value to you, then this whole experiment will be over before it even begins. No one can expect to be trusted by their audience without giving a TON of value out to them, so that’s what I’ll try to do. Longform, evergreen content that provides a ton of value to you. I will aim for big posts of over 2000 words that really answer their core topic comprehensively. Engagement with my readers. I will strive to be personally active whenever any reader needs me and help you to the best of my ability. Community is an important concept here for me and I want BendTheRulez to serve as a platform for anyone to get honest answers from real people. Not bots, shady marketers, and virtual assistants! That’s basically it. I told you I’d keep it simple. Moreover, I truly believe those are the core elements that bring success. Providing lasting value and being real with your readers. That being said, my inquisitive nature is sure to push me to experiment here and there. With what I learn, I’ll be sure to come here and share it with you in the form of guides. BendTheRulez is sure to be primarily an internet marketing blog. However, limiting my scope to just that is impossible for a jack of all trades like me :P. First of all, I really want to share here and there my perspective on many different topics that interest me. That way you can learn more about me and my personal journey. Topics that I love to discuss here apart from making money online are my fields of scientific studies, thus Data Science and Machine Learning, as well as Entrepreneurship in general, as well as the relationships between all of these fields. The main goal though is to utilize them to enhance our lives, and that is the main scope of this website. If you are not that familiar with all these fields, don’t worry, I’ll try to make them as accessible as possible for everyone. As I said, this blog cares more about the way we ultimately live our lives. Internet marketing is just a method to enhance our lifestyle and experience the best this world has to offer. In other words, it’s just a tool. It’s not a means to an end. I really want us to explore all the different paths that excite us. I truly believe that life is to be lived to the fullest and at the end of the day, that is the basic premise that we explore in BendTheRulez. Lastly, internet marketing and success in life in general, have a lot to do with your mindset. You can deploy all the methods you can find, but you won’t find lasting success if you don’t set your mindset straight. Ready to learn how to live a laptop lifestyle? Before I leave you, let’s clarify something. I don’t claim to have all the answers here. Far from it. I’m very human and still struggle myself every day with a lot of stuff. Many people nowadays want to paint an idealistic picture of their lifestyles online, which is something that I don’t really wanna do. I don’t especially care about that and my aim is not to deceive you. My only purpose is to share what I find to be helpful in my life, learn from people who have something important to share, experiment with the digital lifestyle and surely have some fun along the way. Let’s see where all that leads us. So, are you ready to learn how to live a laptop lifestyle? If you ever need a hand or have any questions, feel free to leave them below and I will be more than happy to help you out. I personally reply to everything so no Tim-Ferriss-like virtual assistants here (at least for now :P). Great Inforamtion on how to live a laptop lifestyle. There is definitely a way out of the conventional grind if you are patient and willing to put the work in. There is a world of opportunity out there on the internet and a number of great training platforms to help ups all learn the ropes. Great Post and site and I look forward to some of your future posts. Thanks for stopping by and glad you liked the article as well. You are really right about patience being a really important aspect. Opportunity as well as great training platforms(like Wealthy Affiliate for example) certainly exist online. However, much misinformation, misguidance and people who want to rip you off your money exist in abundance as well. You have to separate the wheat from the chaff and that’s what I strive to help with in this website, sharing my own experiences. I hope I won’t let you down with my future posts! 🙂 Cheers! You really spoke to me at the beginning. You write very well overall. That’s a great angle you took on Wealthy Affiliate program. The truth is, you are absolutely right. Laptop lifestyles are possible and I wish the best to both me and you to become great examples of it. Glad you liked the article and that it motivated you. Be sure to check my comprehensive review on the Wealthy Affiliate platform as well! Hi Antonis, I too, like you am looking to have as you call it a laptop lifestyle but mine is for a bit different reason. I am looking to land into retirement with an additional income stream and with the growth of Internet Marketing and the internet in general, it just makes great sense. Your approach to people by being upfront, honest, and not deceitful is good because there are so many scams out there nowadays. Simple and Truthful are always great virtues in life and in business. Thanks a lot for your kind words Jim. Really appreciate it. I’m disappointed with all the fluff that exists online, so I strive to be truthful, transparent and straight here. I believe you will succeed in your retirement goals.